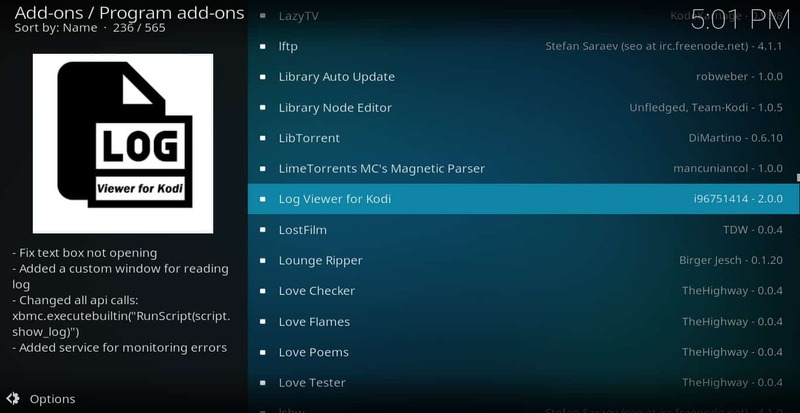 If you’ve encountered that dreaded message, “One or more items failed to play, check the log file for details,” you may be wondering how in the world these mysterious Kodi log files can be found. And even if you can find them, it may not be obvious what to do with them. 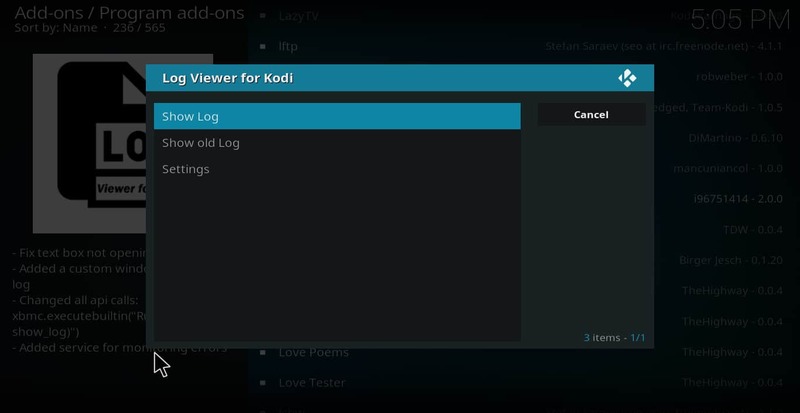 How do you view log files in Kodi? And once you do, how can you fix any errors that have occurred? The truth is there are many different causes of this error message. So the best thing to do is to first know how to get the log files themselves. Once you have this information, you can get help from others on forums or through e-mail. There are also a few things you can try in order to fix errors yourself. In this article, I’ll explain how to do both. Before we start discussing how to fix problems with Kodi, it’s important to understand the risks entailed by using addons to fix Kodi problems. 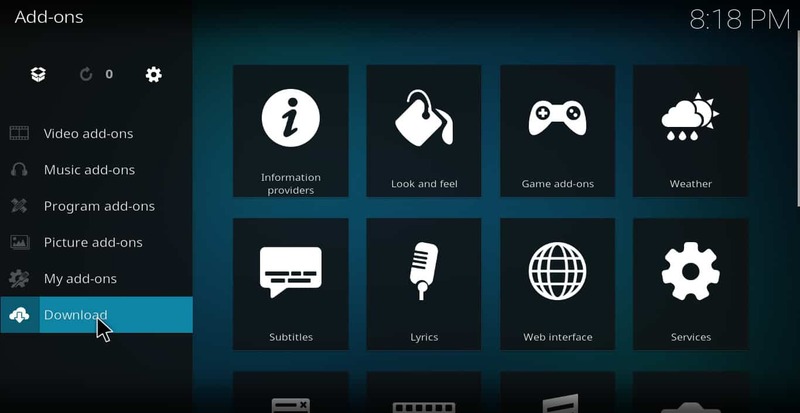 Kodi addons are created by independent developers. This is true not only of apps used to stream video content but also ones that make it easier to troubleshoot problems with the player itself. Although all of the addons mentioned in this article are reputable and believed to be safe, a hacker can potentially compromise any software. Malicious programmers sometimes use addons to initiate “man in the middle” attacks. They change the code so that it redirects the user’s data to their own private networks. Once they do this, they can then access the user’s hard drive and get any personal information they want. If your internet service provider knows that you are streaming video, it can also reduce your internet speed to keep its costs low. Indeed, many access providers offer streaming services of their own and do not want to compete with others. So they may punish you by throttling your speed if you seek out alternatives. Because of these problems, it’s always best to use a VPN service whenever you stream video or use any Kodi troubleshooting addons while connected to the internet. Using a VPN disguises your identity so that hackers cannot get your personal information. And it keeps whatever you are doing on the internet private so that your provider cannot use it as an excuse to lower your bandwidth. One of the most popular VPNs amongst Kodi users is IPVanish. And we think this popularity is warranted. IPVanish has a strict “no logs” policy and maintains its own infrastructure. This keeps speeds high and makes sure that your data is kept away from prying eyes. Reader deal: Save up to 60% on IPVanish plans here. Comparitech does not condone or encourage any violation of copyright restrictions, including illegal streaming through Kodi. Kodi can be used for many excellent, legal online streaming purposes. Please consider the law, victims, and risks of piracy before downloading or streaming copyrighted material without permission. 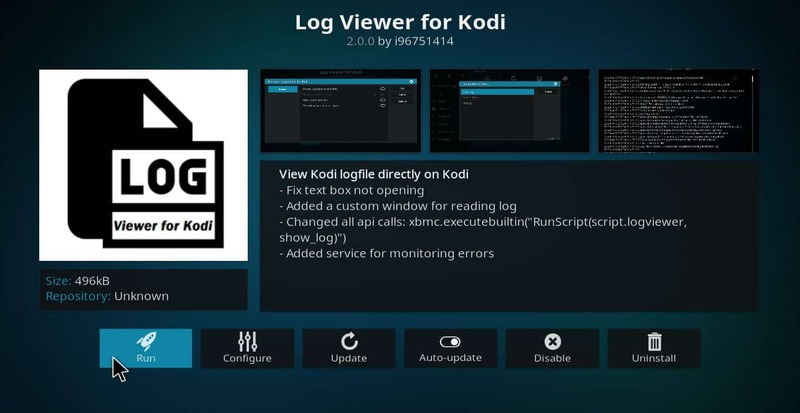 The easiest way to view Kodi log files is to install the Log Viewer addon. 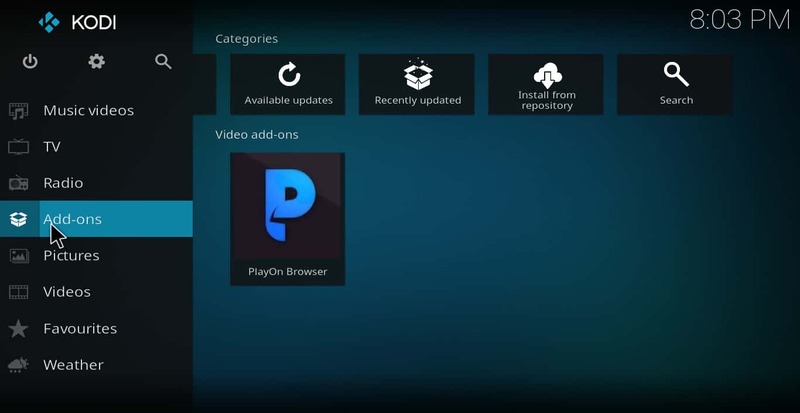 It’s available in the official Kodi repository. Clicks “addons” from the main menu. Click “install.” In a few seconds, you’ll get a message that the addon is installed. Click “run.” This opens a new dialogue box that offers you options to either show logs, show an old log, or change settings. Scroll through the file until you find the error. Once you’ve got the actual text of the error message, it can give you a better idea what is causing the problem. Unfortunately, cut and paste does not work from within the log viewer. So if you are trying to paste the error message to a forum in order to get help, it won’t work. However, screenshots do work from within the viewer. 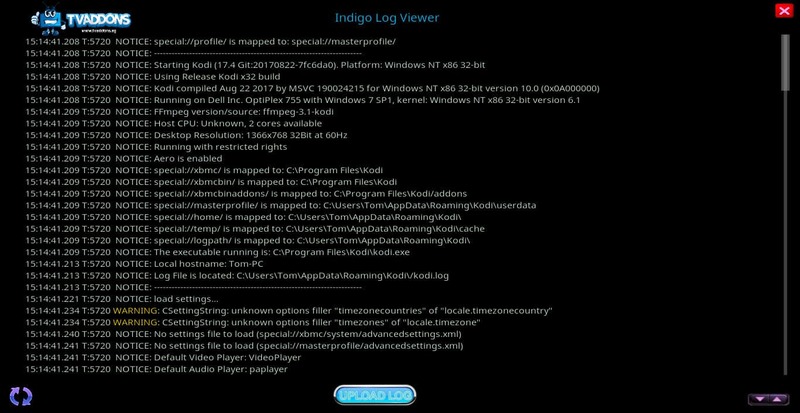 Viewing Kodi log files directly. Using the log viewer is fine if you just want to find what the error message is. But sometimes the context in which the error ocurred may be important. So it may be easier to read the log file and discuss it with others if it is in text form. Unfortunately, getting the log file in text form is a little more complicated since where it is located depends upon your operating system. Here is a list of where to find the file in each OS. 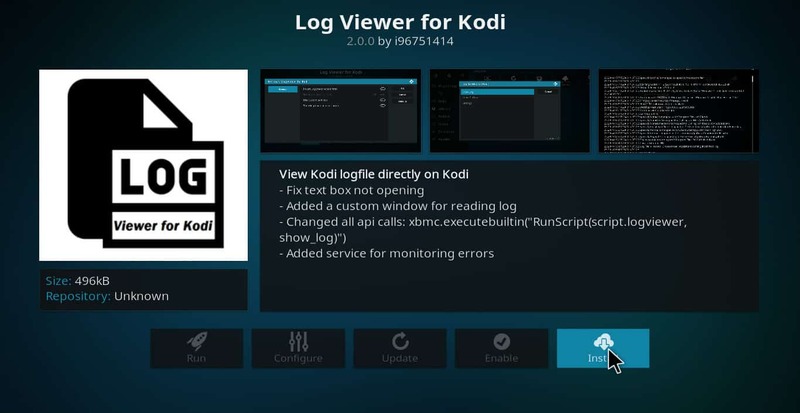 Now that you know how to view kodi log files, how do you fix errors that show up in them? Some errors can only be solved by someone who has in-depth knowledge of coding. But most do not require this level of knowledge. So here are five simple strategies anyone can use to solve the most common errors. Sometimes the developer of an addon discovers bugs after it is released. 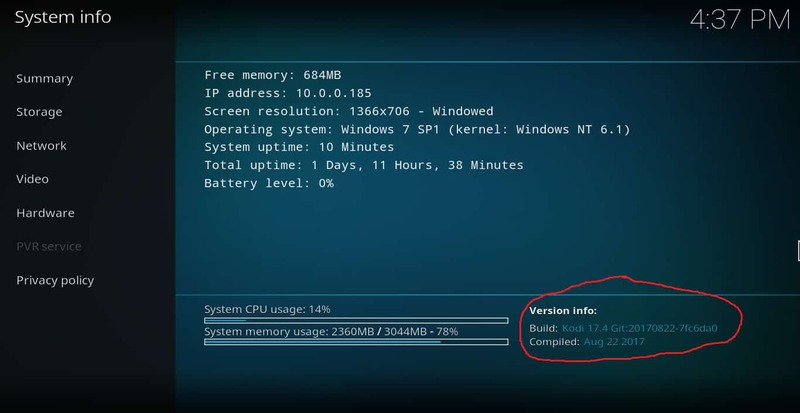 But for security reasons, you may have set up your Kodi not to automatically download updates. If so, you may not have the most up-to-date, error-free version of the add on. Strategy #2. 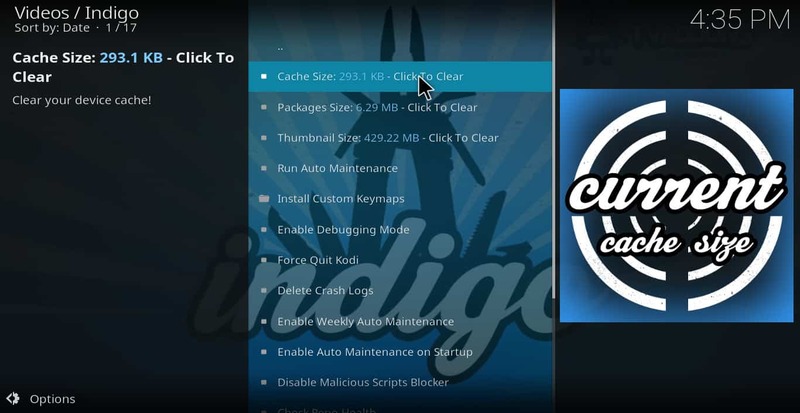 Use Indigo to clear your cache and delete old installation packages. Old data stored in your cache and package folders can slow your Kodi down, sometimes causing errors in the process. But these can be eliminated with an addon called Indigo. In order to install it, first install the SuperRepo repository. Then click on the magnifying glass from the main menu. Click on “search addons.” Finally, type in “Indigo” and hit enter. This will bring up the addon so that you can install it. Once it’s installed, you can open it to bring up a main menu with a set of options. Click on “Maintenance Tools”. Then click on “Cache size: (number) – Click to clear” and “Packages size: (number) – Click to clear”. In both cases, you’ll be prompted with a message asking you if you are sure you want to clear your cache or delete old installation files. Click “clear” or “delete” and all that junk data will go away. If your addon is updated and cache/packages cleared but you still see errors, it might be because you have an old version of Kodi that is using a newer, incompatible addon. To find out if this is the case, click the gear icon. 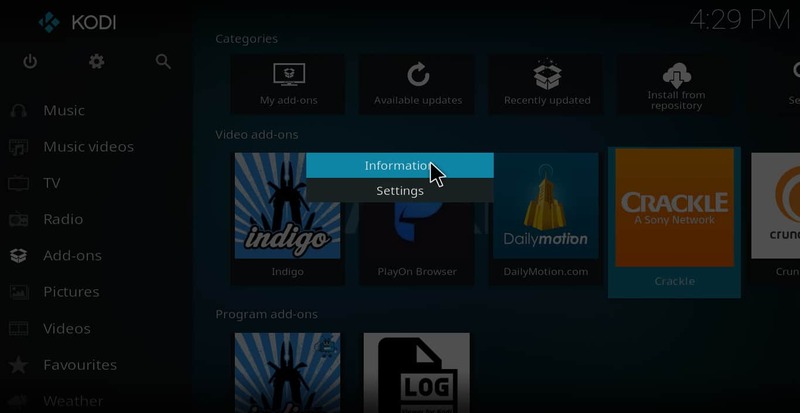 Then go to “system information.” You’ll see a lot of information about your Kodi media player. In the bottom-right corner is the version number. Make sure this is Kodi v17.4 Krypton or whatever version is the newest as you’re reading this. Strategy #4. Update your dependencies. Another issue that may cause errors is dependencies that have not been updated. 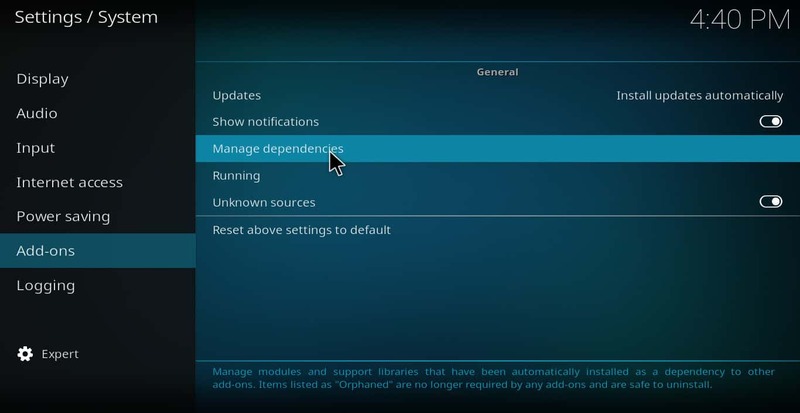 To find these, click on the gear icon → system settings → addons → manage dependencies. Look through the list and see if any of these showed up in the log file error message. Strategy #5. Factory reset your Kodi. If none of the previous strategies work, you may have to try something more radical. 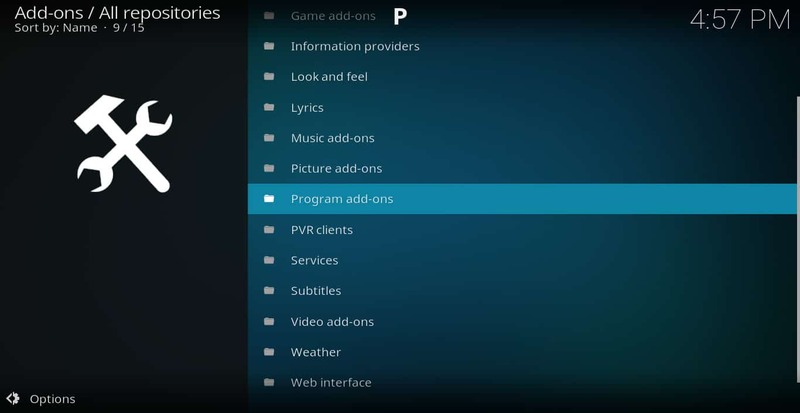 Factory resetting your Kodi will eliminate all of your addons, skins, and any other changes you’ve made to it since installing. For this reason, a decision to factory reset your Kodi should not be taken lightly. But if nothing else works, this may be the only way to fix the problem without learning how to code. 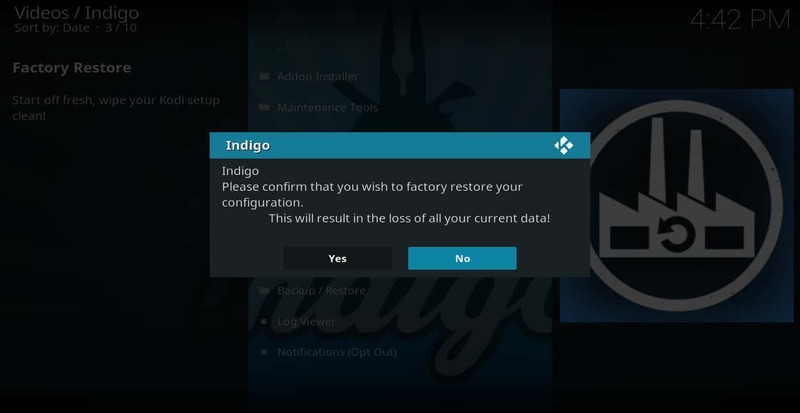 To factory reset your Kodi, use the Indigo addon discussed in Strategy #2. But click on “Factory Reset” instead of “Maintenance Tools”. You’ll be given a warning that it will erase all of your Kodi data. Click “yes” to complete the reset. After resetting, reinstall the addon you were using and try again. Where to find help with errors found on Kodi log files. If none of the above strategies work, it’s time to seek out help. Here are a few forums where there are knowledgeable Kodi users that may be able to give you more insight into your problem. If you’ve been getting error messages that tell you to check log files, you might not know where to find these files or how to stop the error messages. Follow these instructions and you should be able to do both or at least to find help from others who can.